We’ve got some news to share with you all. 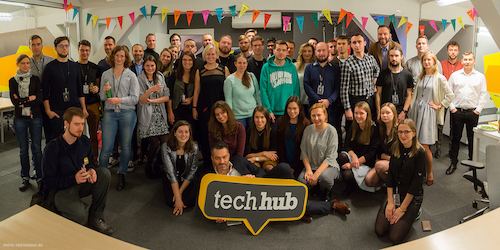 After an incredible two years, more than 700 events and over 600 members, TechHub Madrid and TechHub Warsaw will close on May 31st. TechHub opened in Madrid and Warsaw because we believe in the talent and passion of entrepreneurs in Spain and Poland; to be a catalyst for fast-growing communities; and because we wanted to share some of the knowledge and experience we have gained in London and around the world. We have together built something incredible and supported each other within our community. The Warsaw and Madrid communities have grown beyond our expectations - it’s awesome to witness you build meaningful relationships, celebrate achievements and learn from failures. Your warmth and understanding of the value of collaboration makes us incredibly proud, both of what you’ve achieved in your companies, and what we’ve all built together as a community. Our partner Google for Entrepreneurs is rolling out a new global strategy with new programmes. Since space at Campus is limited, the new Campus programmes will be run from what are currently the TechHub spaces. TechHub and Google for Entrepreneurs will continue to partner internationally elsewhere. We’ve put much thought into how to sustain TechHub independently in each location, but unfortunately this is not something we’re able to do currently. Many thanks to the Campus Madrid and Campus Warsaw teams for providing a wonderful home for our community. We’re really happy to have been part of the journey of Campus from day one. We’d like to take this opportunity to give massive thanks to the 350 speakers and 12500 attendees who contributed their time, minds, and ideas to make the TechHub programmes in Madrid and Warsaw a massive success. We really value and appreciate the generosity with which you’ve shared your skills and knowledge in order to help everyone develop and learn. Our team is at the centre of the TechHub community and we know you’ll agree that they have been an incredibly important part of growing the tech communities in each city. Our huge thanks, respect and admiration goes to Laura, and Justyna, who have run world-class support programmes both for our members and the wider tech community, Alex and Jerzy, who have championed and empowered our members every step of the way, and Kasia, Paloma and Eva, who have grown formidable communities and supported our startups through their growth. They are a true dream team and together succeeded in building, developing and running something truly special and unique. None of this could have happened without their hard work and dedication. Importantly, we’d like to thank and celebrate our members. You are the reason we do this. 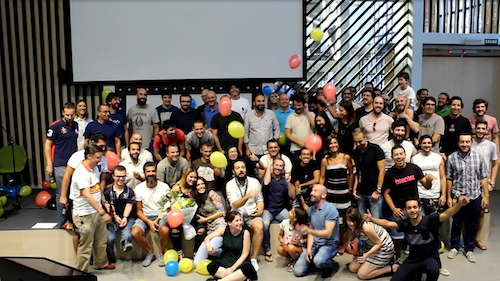 TechHub Madrid and Warsaw are truly incredible communities and we recognise and celebrate the impact that you have made on TechHub as a whole. We will hold one final Startup Funeral - for ourselves - in May to celebrate the achievements of these truly special communities filled with dedicated, talented and hugely fun people. Keep your eyes on our Facebook and Twitter feeds - more details will follow.